Burglar alarms remain one of the best security measures you can protect your home with, however one criticism that is often leveled against them is that few respond to the sound of an alarm going off. This is something that we’ve been aware of for a while and we think we may have come up with a solution. 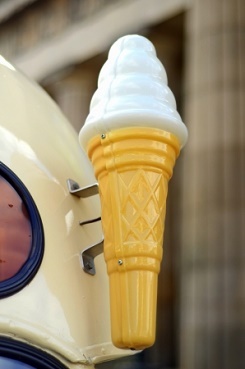 From today we will be supplying alarms with an optional alternative audible sound; that of an ice cream van. A number of tunes were trialed: Greensleeves and The Entertainer were popular but the Benny Hill theme was dismissed for being too politically incorrect. Pop Goes the Weasel was determined as the standard chime, however a choice may be offered if the service gets hundreds and thousands of customers. Anyone interested in swapping their alarm chime should get in touch. We’re also interested in hearing from ice cream van operators who may be interested in a joint venture to capitalise on increased interest in their area. Update 01/4/16 12:01pm: Obviously we’re having a little bit of an April’s Fool joke with you on this! It does however highlight the issue of false alarms and show how important it is to look after your alarm so that when it does goes off in a real incident, your neighbours will take it seriously! See a full article on this here. previous Are you in a burglary hotspot? next Burglar alarm siren to be replaced with ice cream van tune – OK, not really!